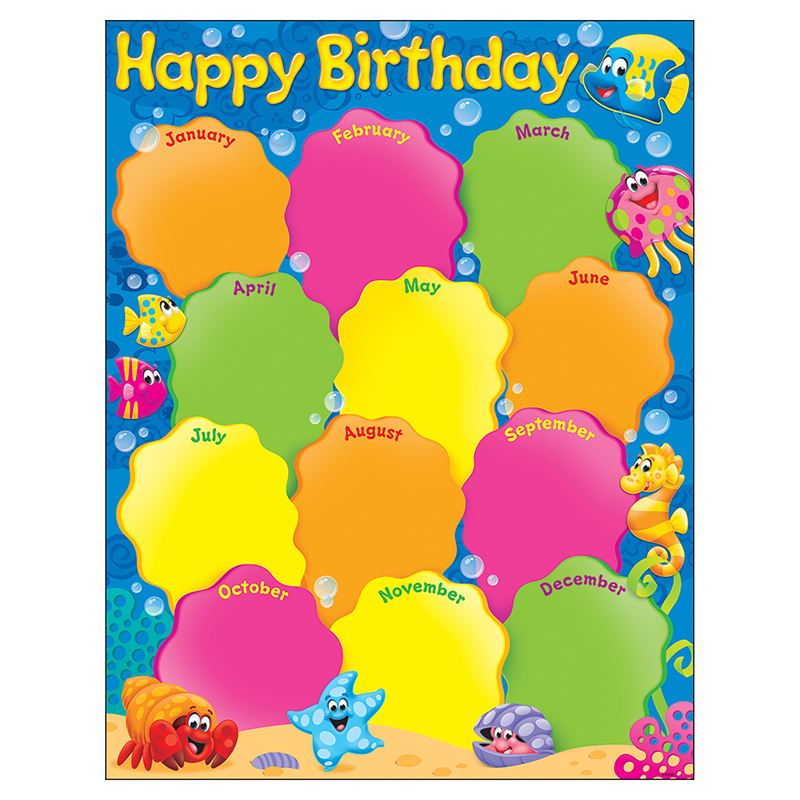 Whimsical Sea Buddies™ are swimming about, ready to celebrate birthdays each month. Extra value on back: reproducibles and activities. 17'' x 22'' classroom size. Coordinates with Sea Buddies™ Collection.